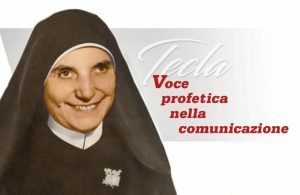 I am writing to you during this “favorable time” of preparation for Easter and two weeks prior to 15 March 1953–the day on which we will be celebrating the 65th anniversary of pontifical approval of the FSP Constitutions, which are “our guide to holiness and a specific means for living our covenant with God” (Const. 189). The history of our Congregation is a history of covenant. The Lord, who made this commitment with us, is faithful, and his call and his grace are irrevocable (cf. Rm. 11:29). Even in the midst of major difficulties, the hand of God was and continues to be upon us. It is with this consoling awareness that I want to inform you of the theme of our 11th General Chapter and offer you several concrete guidelines on how to prepare for it. Our very DNA contains a compelling missionary audacity; we were born of the Word so as to proclaim and point out to everyone “the luminous way of life,” which is the Gospel of Christ Jesus. But what does God want to do with us today? Where does the Spirit, the true Protagonist of our mission, want to lead us? How should we manifest Pauline prophecy in response to the appeals the Lord is making to us in this hour of the world’s history? How should we recommence our journey, trusting in the promise of fidelity, grace and fruitfulness that Fr. Alberione received in a “dream” and that today still nourishes our own dream to accomplish something new? In the light of the specific historical reality in which we live, the Master’s reassurance: “Do not be afraid; I am with you,” can help us continue our journey by inviting us to look at our smallness and poverty as an asset–a favorable condition for collaborating with the mission of the Spirit by means of our particular gift. 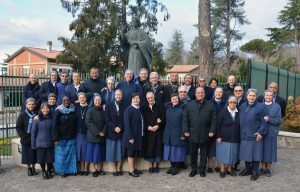 The sisters of the Preparatory Commission met from 1-25 February and began their work with the “long distance” accompaniment of our facilitator, Fr. José Cristo Rey Garcia Paredes, cmf. 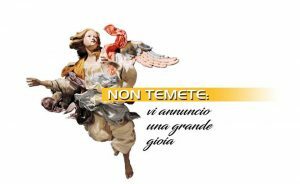 The document In Preparation for the 11th General Chapter (Study Aid 11thCG/01) is the result of their efforts; you will receive it in a few days and it will help you become acquainted with and deepen the Chapter’s theme. That study aid contains a proposal for involving all our sisters in preparing for this important congregational event. During a community sharing session, each sister, after having reflected personally and attentively on the points indicated, can offer precious insights that can be used in drafting the Work Instrument, which will be the object of the study and operative effort of all those who will participate in our Provincial Chapters, Delegation Meetings, and Meetings of the communities dependent on the General Government. 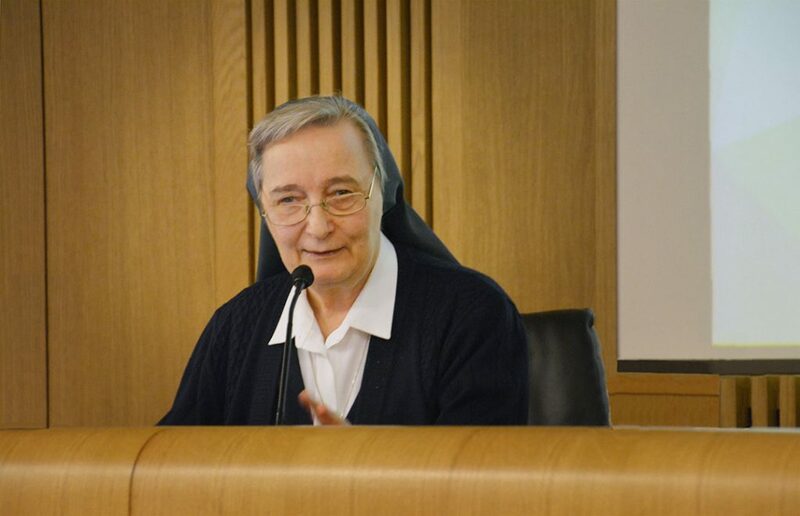 The definitive Work Instrument–the document on which the 11th General Chapter will be based–will be drawn up in the Spring of 2019. The positive outcome of the Chapter is therefore entrusted to each one of us: to our desire to contribute to the renewal of the Congregation by sharing in simplicity and joy the lights that the Spirit manifests to us. We are the Spirit’s collaborators. Urged on by this assurance, we want the whole Chapter process to unfold from the very start in a climate of spiritual discernment that will enable us to perceive “the hand of God” at work in today’s world and discover what the Lord wants to accomplish with us. toward the 11th General Chapter.